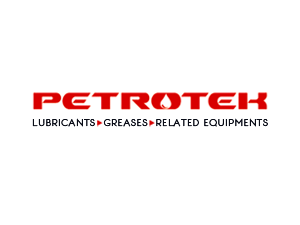 We at Petro Tek have been specialists in the procurement and supply of technical products. We offer a wide range of engineering services and process engineering. Dealers and production facilities around the world work with us as partners for the acquisition of aggregates, components, spare-parts and those parts subject to wear-and-tear, as well as raw materials and other operating equipment. Our fast and reliable service helps to reduce losses and production breakdown, as well as change-over time, to a minimum. Since our contacts are world-wide, we can also offer favorable conditions for other sectors of the industry. Petro Tek supplies to all valid INCOTERMS. As a medium-sized corporation, our communication channels and decision-making processes are short. Our own intermediate storage and IT-based consolidation of smaller orders mean that we are in a position to generate for our customers synergies and cost advantages during the procurement process, as well as for freight. We also offer our own “one-hand package” system, whereby we arrange the procurement, intermediate packing, local logistics, final customer-specific product-packing and world-wide distribution, including all customs formalities up to the package`s final destination. Dubai is one of the leading trade-centers in the world. With large seaport with its own free-trade zone and one of the huge container-terminals, Dubai offers optional conditions and facilities. Consolidated air-freight consignments reach the DUBAI international airport overnight on a daily basis. In urgent cases, we cooperate with all major courier services. If necessary, for instance in cases of machinery breaking down or of production standstill, we promptly put into action our own courier service. We can source the attached products for your one stop requirements. Please search our database for brands to verify if we have supplied the required products previously and if we are able to acquire them for you.